1. What does Charles River Laboratories do? 4. 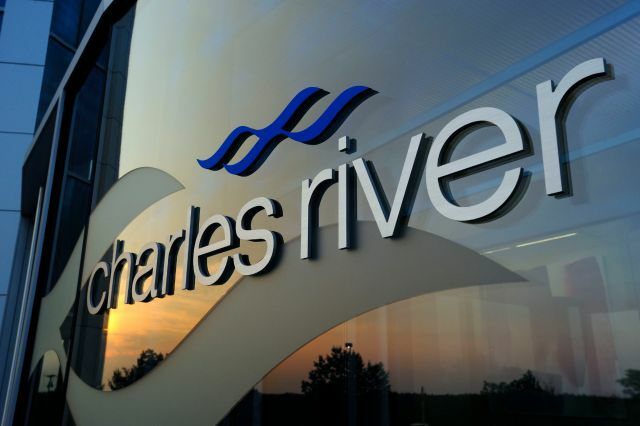 When did Charles River Laboratories become a publicly traded company? 5. Does Charles River have operations outside the United States? 6. How many people does Charles River Laboratories employ? 7. Who are Charles River Laboratories’ directors and executive officers? 8. Who are the independent auditors for Charles River Laboratories? 9. Who is Charles River’s Stock Transfer Agent and Registrar? 10. How can I receive information about Charles River Laboratories? Charles River Laboratories is a full service, early-stage contract research organization (CRO). The company has built upon its core competency of laboratory animal medicine and science (research model technologies) to develop a diverse portfolio of discovery and safety assessment services, both Good Laboratory Practice (GLP) and non-GLP, which is able to support its clients from target identification through non-clinical development. Charles River also provides a suite of products and services to support clients’ manufacturing activities. Utilizing the company’s broad portfolio of products and services enables clients to create a more flexible drug development model, which reduces their costs, enhances their productivity and effectiveness, and increases speed to market. Charles River Laboratories was founded in 1947. The company’s corporate offices are located at 251 Ballardvale Street, Wilmington, Massachusetts, USA. Charles River Laboratories is a global company with operations in the United States, Canada, United Kingdom, Europe, Japan and China. This information can be found on the “Corporate Governance” section of our website. Go to the “Email Alerts” or "Contact Information" pages of our website.